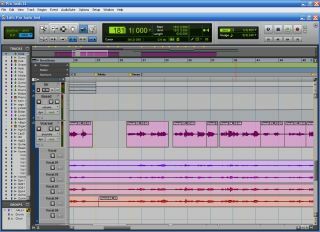 Pro Tools 8 was officially unveiled at the AES convention in San Francisco a few months ago and hit the shelves just last week. With the promise of a fully-integrated MIDI editor, a redesigned user-interface, a new 'Elastic Pitch' feature and more, version 8 looked to be the most comprehensive update of the DAW in years, and on first glance it certainly doesn't disappoint. 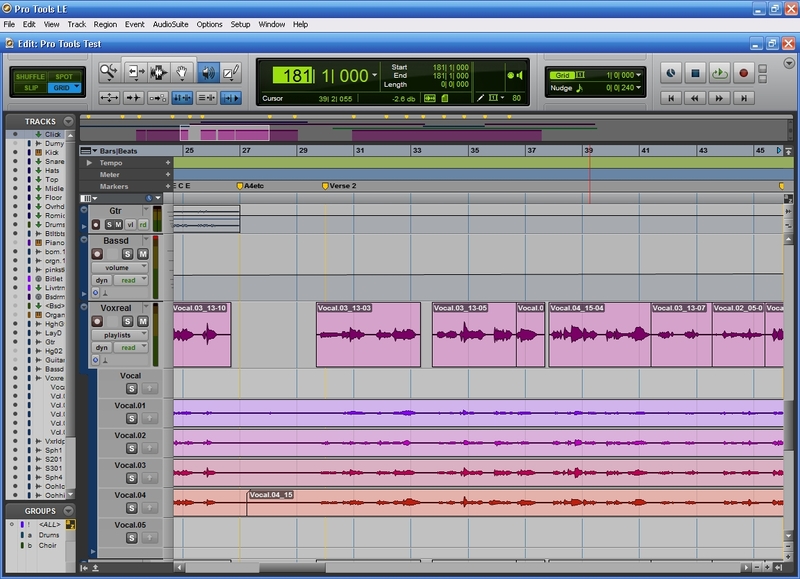 MusicRadar has had Pro Tools 8 LE for a few days now and we're thoroughly impressed with what we've seen. The first new feature you'll notice is the 'Quick Start' dialog, which lets you start a new session based on a template (you can add your own too). Another welcome addition is the option to start a session with plug-ins disabled: ideal for recovering a saved session running unstable plug-ins. The redesigned interface is a real treat to work with. It is more customisable, less fussy and generally looks cooler than the old one. The edit window is augmented with a Universe view that lets you scroll around your project in seconds - ideal if you're pushing LE/M-powered's new 48 track limit. MIDI editing in Pro Tools has historically been seen as one of the DAW's weaker sides, so the addition of a fully integrated MIDI editor is fantastic news. 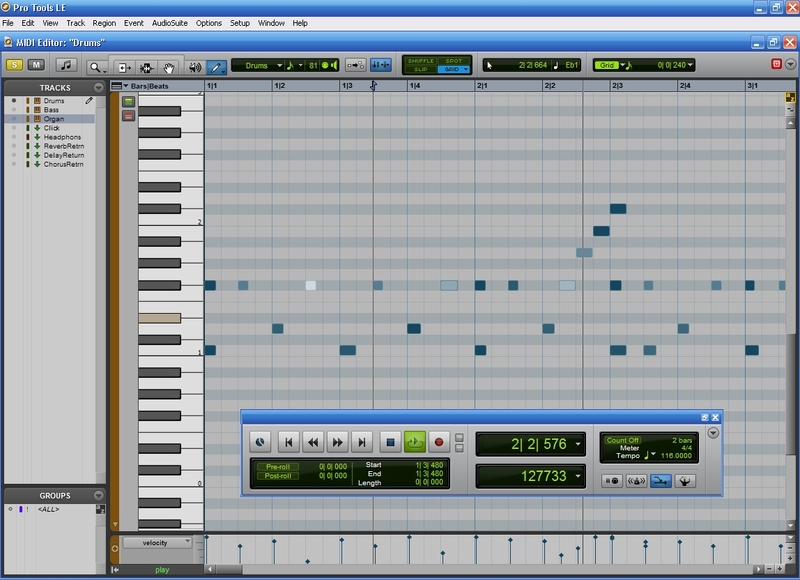 Double-clicking on a MIDI track now brings up a separate window for editing, and working with MIDI is now a breeze. Notes are shaded depending on their velocity (for an at-a-glance view of the part's dynamics) and can be created by double-clicking and erased by double-clicking again. The score editor is a hit too, and the new chord symbol ruler will no doubt come in handy if you use session musicians (or if you forget the chords yourself). 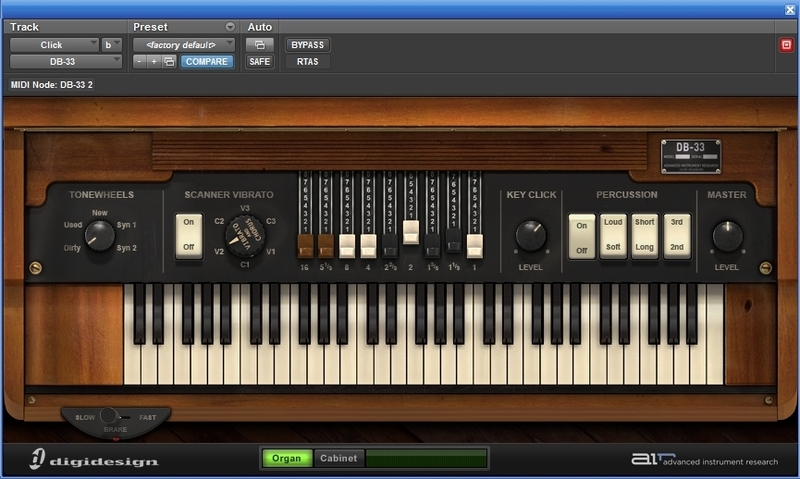 Pro Tools 8's new MIDI functions can be put to good use by the newly bundled plug-in instruments. 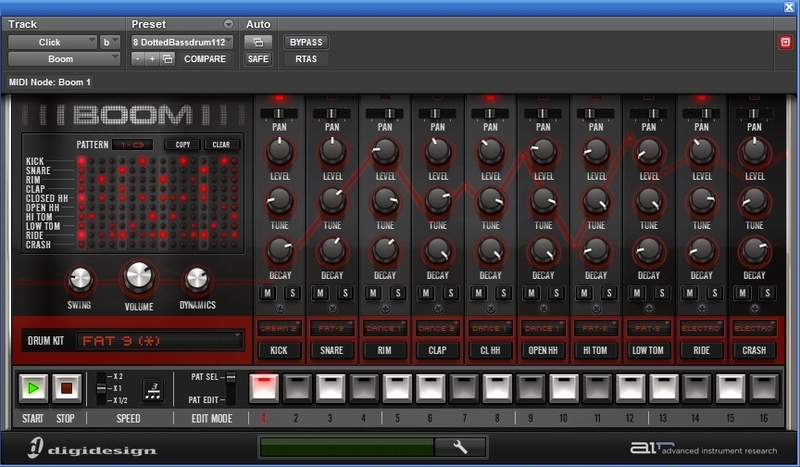 The DB-33 organ, Mini Grand piano and other AIR instruments all sound and look brilliant, but our personal favourite is the Boom drum machine which gives even Reason's Redrum a run for its money in terms of sound and usability. Another important new feature is Elastic Pitch. The techno-wizards and witches at Digidesign scored a massive hit with 7.4's seemingly magic Elastic Audio timestretch functionality, and Elastic Pitch sees them triumph once again. While it won't track complicated jazz chords without glitching, simple three- or four-part polyphony is handled with ease and far more smoothly than by the Audiosuite alternative. All-in-all, Pro Tools 8 seems an impressive move from Digidesign. The company has clearly turned its attention to the consumer market, offering a host of bundled plug-ins and massive improvements on workflow and usability without making things overly simple. There's plenty here for long-time and pro users, too, with many annoying niggles ironed out and new features left, right and centre. Indeed, there are countless more new features and changes to Pro Tools 8 than we're able to mention here, so be sure to check back for our full review: coming soon.